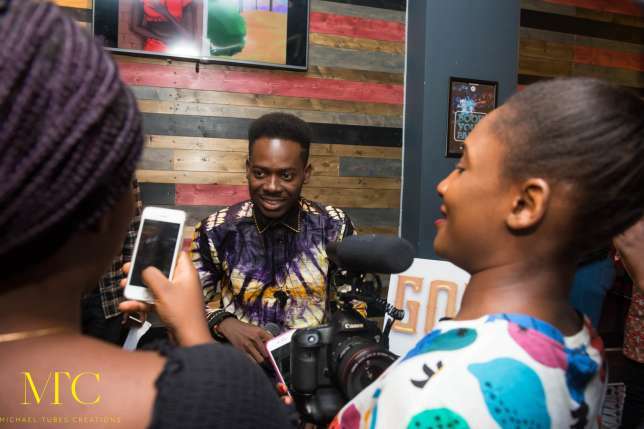 Home / Gists And Gossips / EFIWE GISTS: CheckOut Pictures From Adekunle Gold's Listening Party In London, Massive TurnOut! 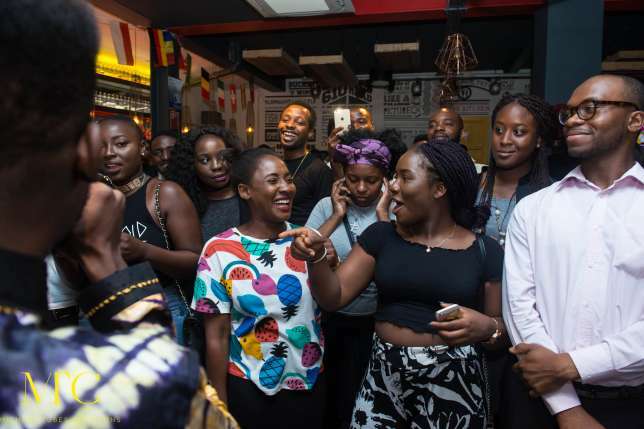 EFIWE GISTS: CheckOut Pictures From Adekunle Gold's Listening Party In London, Massive TurnOut! 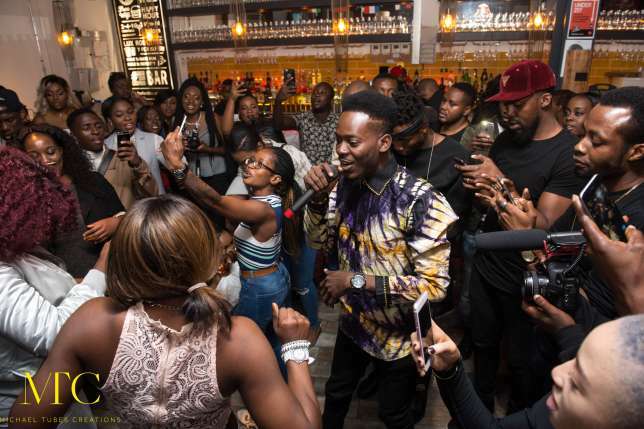 Members of London’s media, music artistes and fans all came out in full force to show their unwavering support for talented YBNL singer Adekunle Gold at his “Gold” album listening party last night, held in a swanky South London venue. 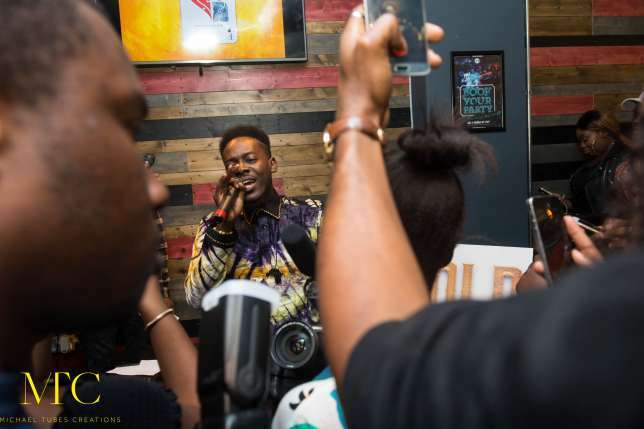 Organised by Fowasere and Stefi K PR, the listening party was a fantastic experience for all that gave Adekunle the opportunity to answer audience questions, share the inspiration behind each track and interact with fans in a refreshing way. With DJ Cynthia MVP on decks, Adekunle performed several tracks including “Orente”, “Nurse Awalere”, “No Forget ft Simi” and “Ready”, “Ariwo Ko” and “Pick Up” -which were all very positively received – while the evening ended with hit tune “Sade”. In full concert mode, the handsome artist at one point stood on a table to sing and even played judge in a fun, impromptu dance off between two ladies. From beginning to end, the sky high energy level of the attendees coupled with Adekunle’s soothing vocals equated to a fantastic evening that was unforgettable. The event was hosted by UK based Singer & Television Presenter Kalisha J who is currently a contestant in the Miss Trinidad & Tobago UK Pageant on September 3rd, 2016 in London.